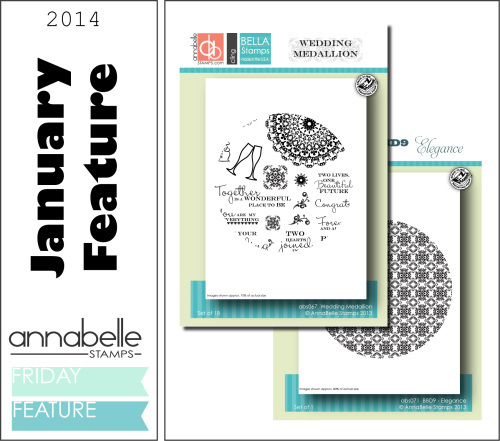 Hello and welcome to the AnnaBelle Stamps January release Blog Hop. You should have arrived from Kylie’s blog. 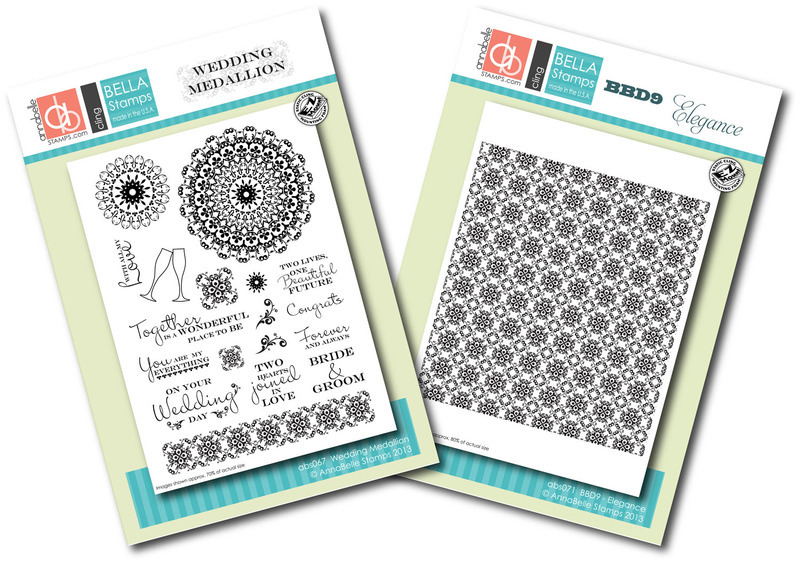 Today, two new stamp sets are being released into the store. Check them out below. I used all the same elements in both to make them a set. Now for a giveaway. To be in the running to win these sets, simply comment on all the DT blogs and then add your name to the inlinkz on the ABS blog. Happy hopping and good luck. 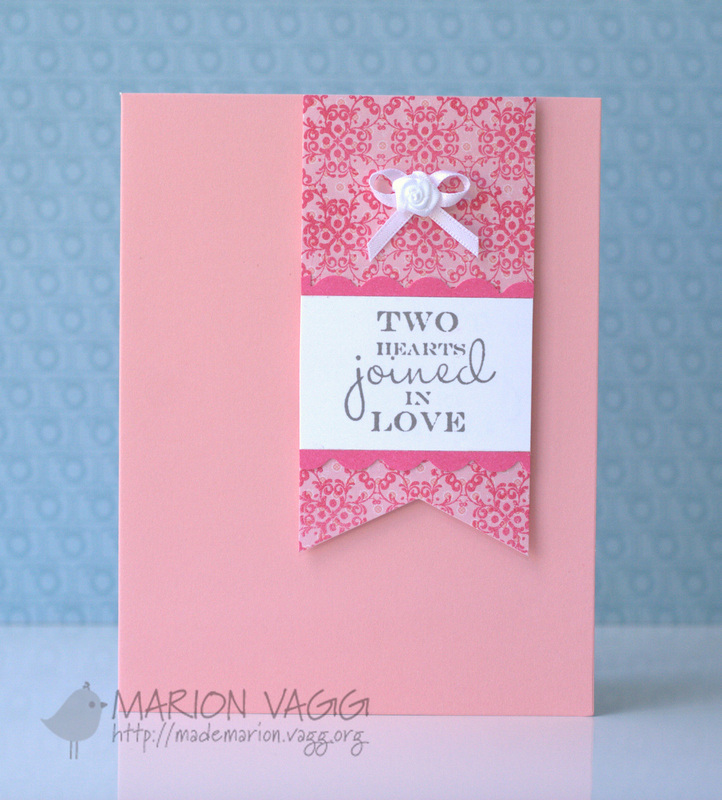 Your next stop on the hop is Therese’s blog. 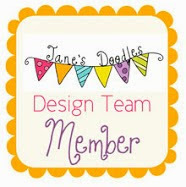 AnnaBelle Stamps is releasing some new stamps next week, so fellow DT member Kylie and I have created some projects to whet your appetite before the release. 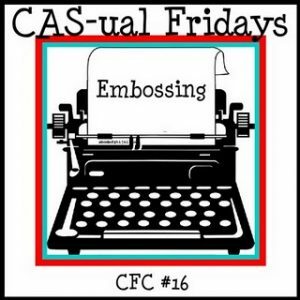 To create the banner, I stamped onto some patterned paper in my new Luxe Memento ink (which I got for Christmas from my FAB SIL), and then clear embossed over the top. I love the shine and texture this technique creates and it also intensifies the ink colour. Be sure to check out Kylie’s blog for some more inspiration. 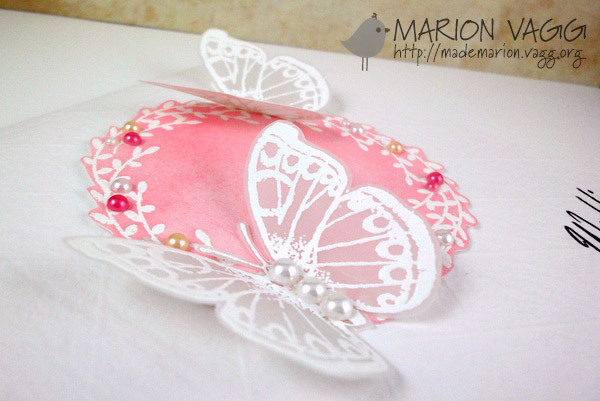 Here is my entry to the Scrapbook Boutique’s Challenge #2 – Using two or more hand crafted die cut shapes. Details of the competition can be found here. 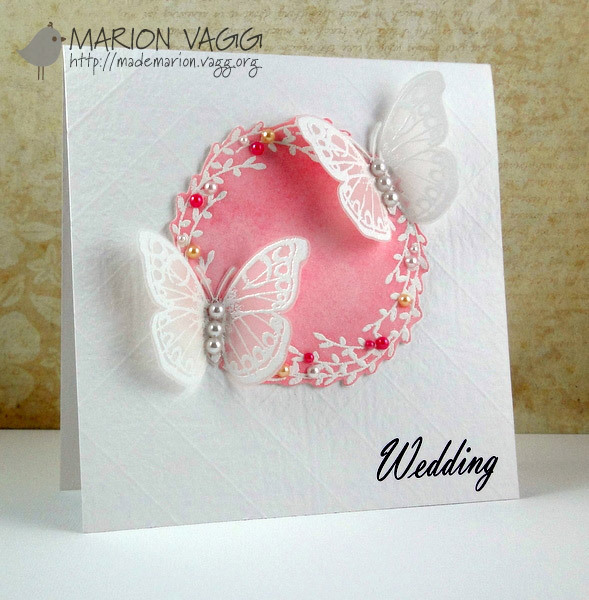 I decided to make a simple wedding card using my concentric hearts die cut in my cuttlebug.